Magistrates have granted police more time to question a 19-year-old man about the fatal shooting of Pc Sharon Beshenivsky in Bradford last Friday. Yusuf Jama - one of three men named as suspects earlier this week - was one of 10 people arrested at a house in Birmingham, police said. He was arrested after police were called to the Saltley address over an allegation of serious sexual assault. 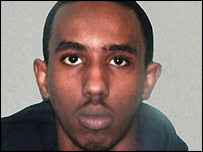 Muzzaker Imtiaz Shah, 24, and Mr Jama's brother Mustaf, 25, are still at large. On Monday, magistrates granted police an extra 36 hours to question Mr Jama. The nine other men arrested at the house in Bowyer Rd are in the custody of West Midlands police while officers continue to search the house in relation to the sexual assault allegation. Unarmed police went to the terraced house at around 0930 GMT in response to an alarm, according to eyewitnesses. Neighbours said they saw at least four men led away in handcuffs by police officers. 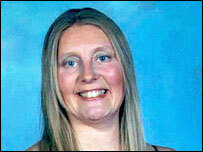 Pc Beshenivsky, 38, was killed and her colleague, Pc Teresa Milburn, 37, hurt during the raid at a travel agency. The pair, both trainees, had gone unarmed to investigate the robbery in Morley Street on 18 November. Pc Beshenivsky was shot in the chest and her colleague shot in the shoulder. Pc Milburn needed hospital treatment but was discharged two days later. Mr Jama had been brought to West Yorkshire for questioning. The arrest comes after police released photographs of the three suspects on Friday and appealed for help to trace them. All three suspects are thought to be from the north Kensington area of west London. Pc Beshenivsky leaves a husband, three children and two step-children. Her youngest child, Lydia, was celebrating her fourth birthday on the day her mother was shot. Five Somali men, and a woman, arrested in London in the aftermath of the shooting were released without charge. The men were all freed on police bail pending further inquiries. The woman was freed unconditionally. On Sunday the wooden barriers which had been surrounding the travel agents since the shooting were taken down.